The division was created following the 2000 redistribution. It was named after the Daly River which flows though the division. The 2015 redistribution saw Marrakai move to the division of Goyder while Daly gained Douglas-Daly, Kybrook Farm and Pine Creek from Stuart. This division surrounds Darwin city and environs and extends to the south and west of the Top End. It is bounded by Kakadu National Park in the east, the Fitzmaurice River in the south and Darwin Harbour in the north. 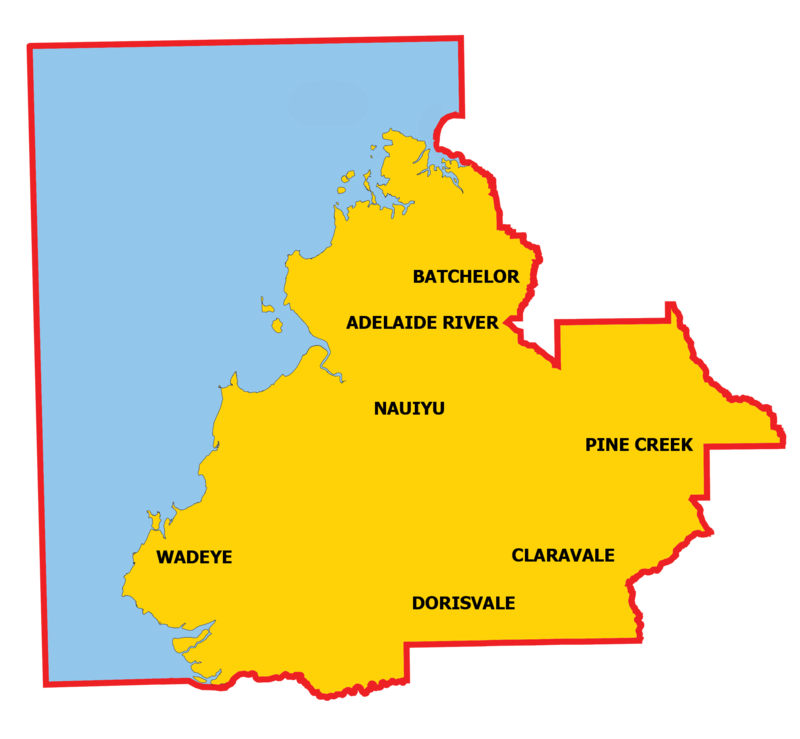 It includes the towns of Adelaide River, Batchelor, Berry Springs and Dundee Beach and the communities of Douglas-Daly, Kybrook Farm, Nauiyu Nambiyu, Nganmarriyanga, Peppimenarti, Pine Creek and Wadeye.